Thanks to these Windows Insiders, seniors are building confidence and skills with computers. In southern Michigan, a charming town called Coldwater is known for its apple and strawberry festivals. But one of the hottest spots isn’t in a guidebook — it’s the local Senior Center where up to 70 seniors come together to talk computers and Windows twice a week. 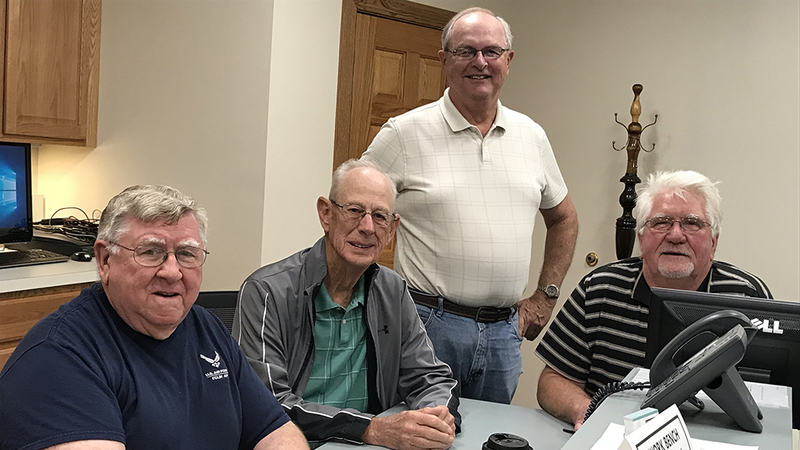 Led by Bob Betts, a Windows Insider, and his team of volunteers, the computer club offers an open forum for fellow seniors to ask questions and learn new skills — for example, how to backup photos or use Office 365. There’s also a class for Windows beginners and a tech lab where seniors can get help with hardware or software problems. And, it’s all free. Humor is a big part of taking the fear out of computing. For the seniors who come to the center, overcoming the anxiety of making a mistake and permanently harming their computers is one of the biggest hurdles. Between viruses, malware, and issues caused by well-meaning family members, computing for seniors can be somewhat of a minefield. Other issues include phone and phishing scams and hijackers who demand money from unsuspecting seniors. “I’ve had people pay as much as $300 or $400, thinking that Microsoft was the one that called them,” Bob says. Falling victim to a scam can be a devastating event, especially for seniors on a fixed income. That’s why Bob and his team pride themselves on helping seniors become savvier with computer security. They even educate seniors on how to shop for tech. The club is so effective that the salesmen at Best Buy know when they’re dealing with one of Bob’s students. The team emphasizes that anyone who wants to start a senior computer club can do it. While Coldwater is fortunate to have great internet connectivity, the key ingredient to the computer club is heart.